"Many scholars place the Biblical "Eden" in a massive oasis in southern Iraq. The book, its illustrations, photographs and design, is generous and thoughtful and guides your historical journey through Ms. Nasrallah's personal lens - Eden itself as a metaphor of pleasure and poetry. 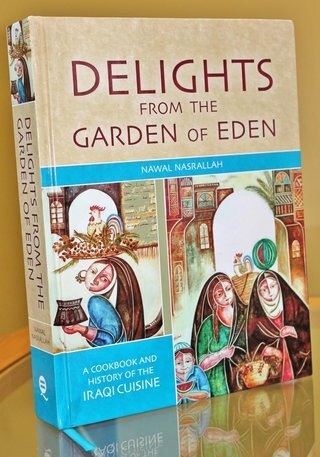 ﻿"
Nawal Nasrallah is author of the book Delights from The Garden Of Eden, which not only includes Iraqi recipes but traces the history of the country’s cuisine. 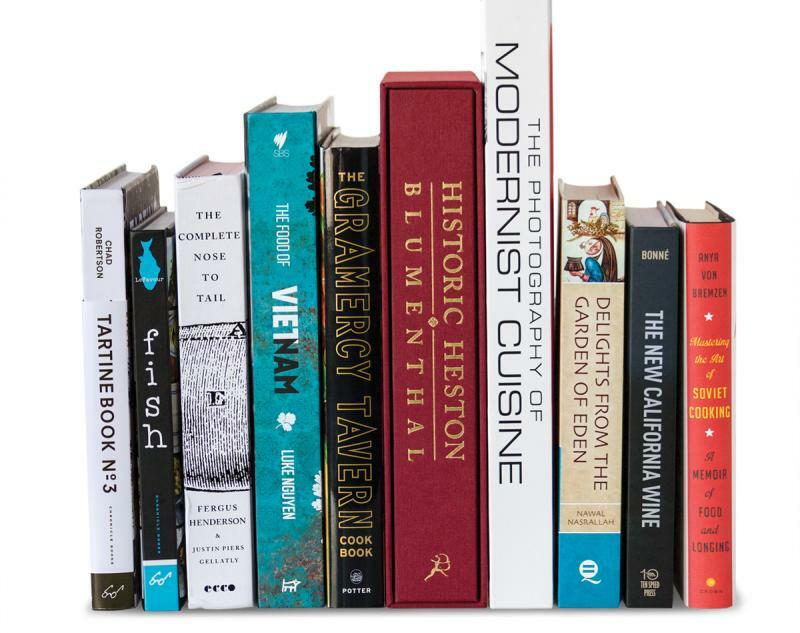 Saveur magazine named it one of the top 10 cookbooks of 2013. "A splendid achievement, Delights from the Garden of Eden is obviously a labour of love, and the author has done readers, cooks and noncooks alike, a great service in producing such an impressive book. 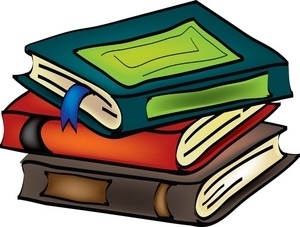 Each page shows erudition, every recipe a passion for food." 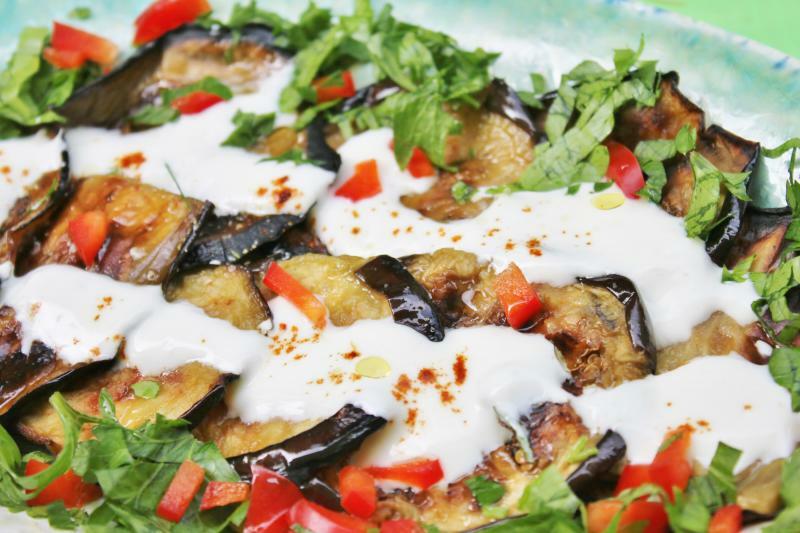 "From an Iraqi-born comparative literature professor with a love for Middle-Eastern cooking comes Delights from the Garden of Eden, a flavor-filled book chock-full of history." Nawal Nasrallah joins Linda Pelaccio in the studio to celebrate the new edition of her book, Delights from the Garden of Eden. This week on A Taste of the Past, Linda and Nawal delve into the history of Iraqi cuisine and the Sumerians. Learn about some of the world's oldest recipes written on cuneiform tablets. Learn about the importance of stews in the Iraqi diet! 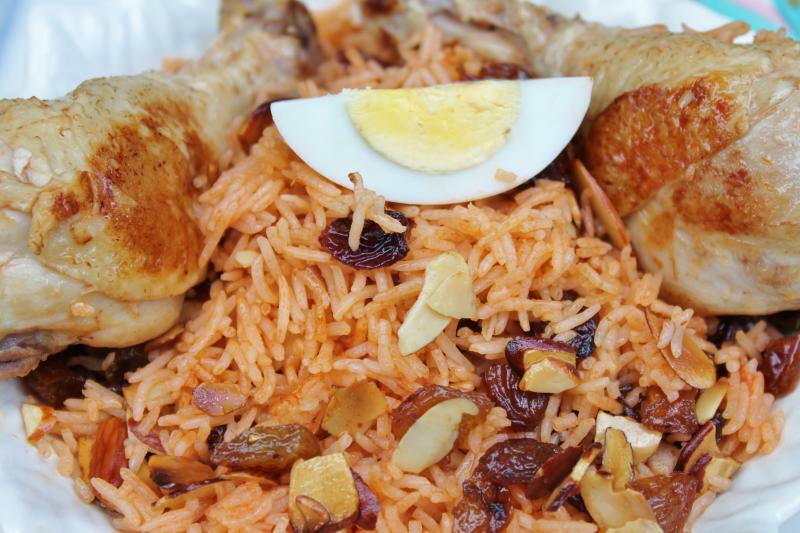 How did traditional, medieval-influenced Iraqi recipes change with the discovery of the New World? Tune into this episode to learn more about cooking techniques for masgouf! 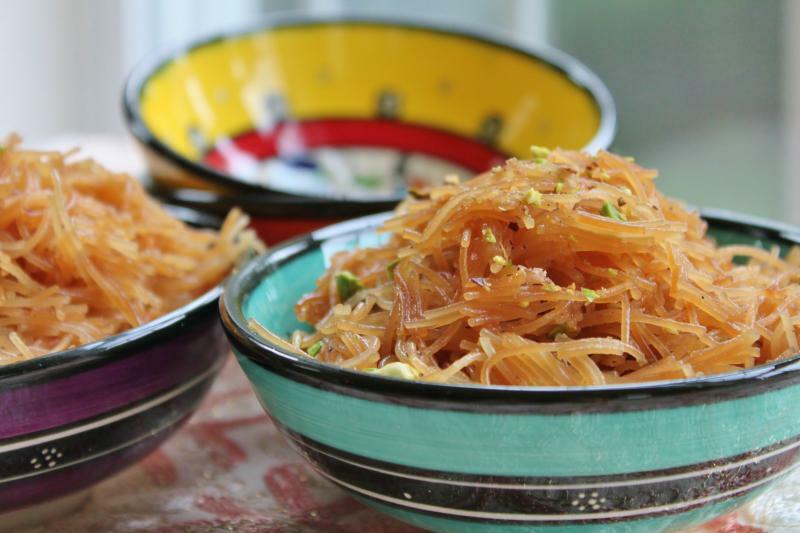 Find out how Nawal blends ancient, medieval, and modern recipes in her book! 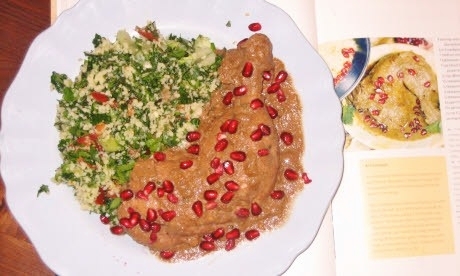 "Already respected among food historians for her translation of the 10th-century Baghdadi cookbook Annals of the Caliphs' Kitchens, Nasrallah is sure to gain more acclaim with this significant contribution to the culinary history of the Middle East." Posted on December 8, 2013 by Miriam Kresh in Book Reviews, Lifestyle. SAVEUR (161) December 2013, p. 24) chooses Delights from the Garden of Eden as one of top 10 cookbooks for the year 2013. Two recipes from Delights feature in Wonderlust travel magazine, Cookbook Challenge, Devember 2013. 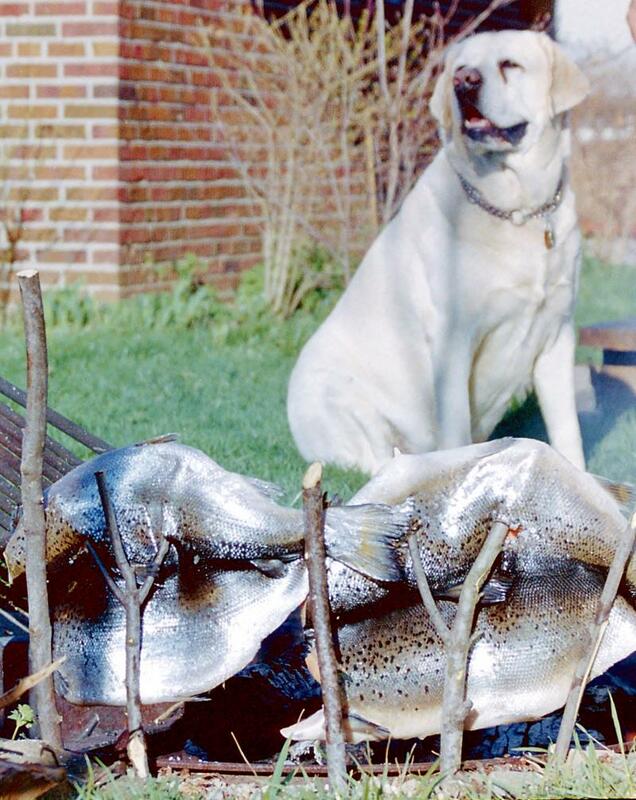 "The time-honored stew was not always cooked the way it is today". 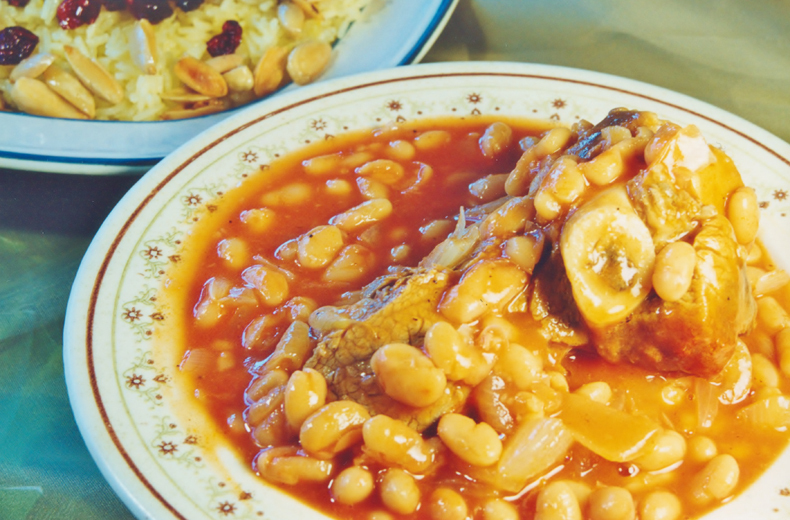 With recipes of stews of white beans and green beans. "Nawal has brought together scholarship, personal motivation through tragedy and love of cooking to produce this unsurpassable volume detailing the culinary traditions and recipes of the Assyrian Empire, Mesopotamia and Iraq, in addition to giving readers a chance to enjoy al-Warraq's comments and anecdotes as well as recipes. " 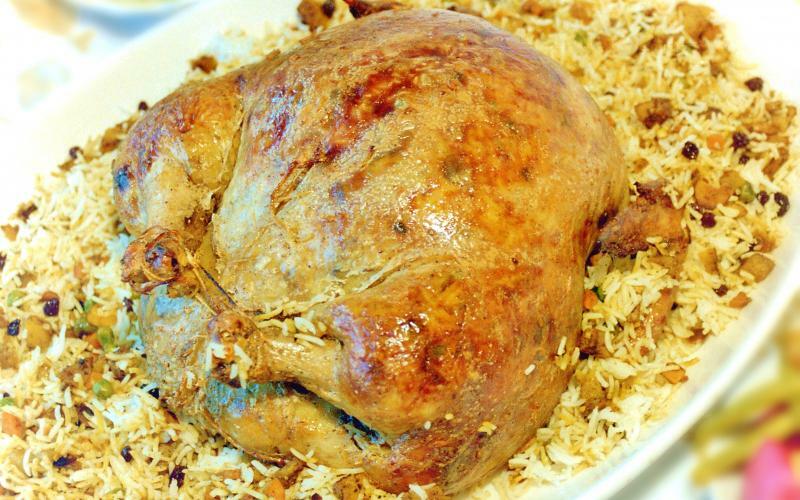 " a fine introduction to the history and diversity of Iraqi cuisine. Lavishly illustrated, supremely informative, and deeply personal, Narallah’s publication is far more than an average cookbook or culinary history; instead, it’s an adventurous exploration of Iraq’s colorful past through food history. This title is unique in not only its breadth – Nasrallah covers everything from exotic ancient desserts to refreshing medieval beverages – but also the way in which recipes are presented in tandem with a sociocultural and historical context.﻿"
They say immersion is the best way to learn about a people and their culture, and a large part of culture is cuisine. Imagine strolling the streets of Baghdad with a historian on one side, a gastronome on the other, and the locals rushing up to greet you with homemade dishes, and you have Delights from the Garden of Eden. Ms. Nasrallah has done for Iraqi cuisine what Julia Childs did for French cooking, but to the nth degree. There are over 400 recipes to be explored, hundreds of beautiful images, and text so meticulous and thoughtful, it could have only been written by someone with incredible knowledge and passion.